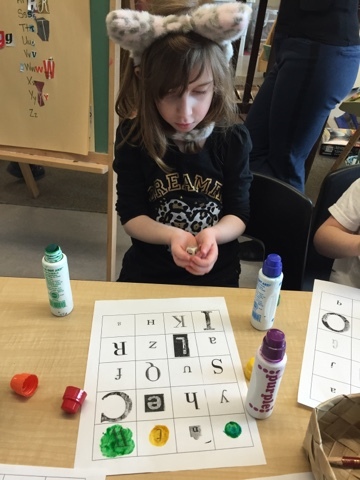 We wanted to continue to encourage children to practise identifying upper and lowercase letters. 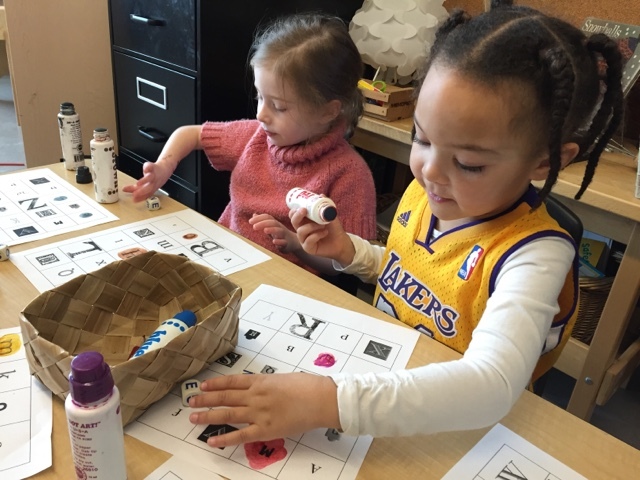 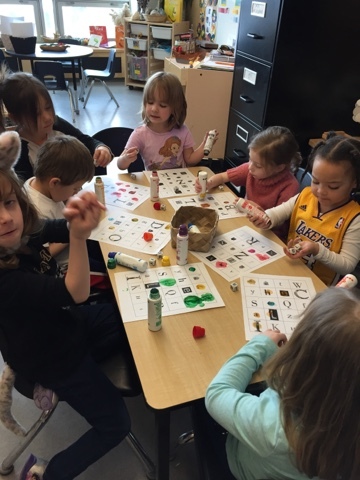 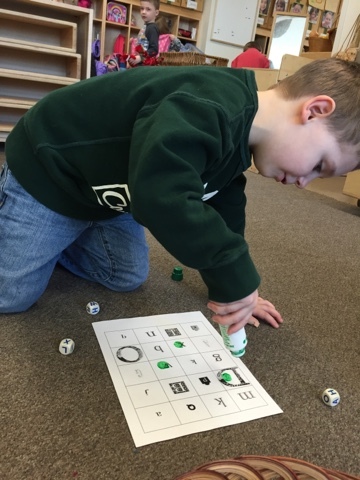 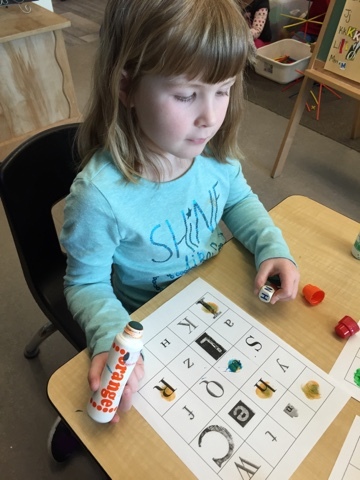 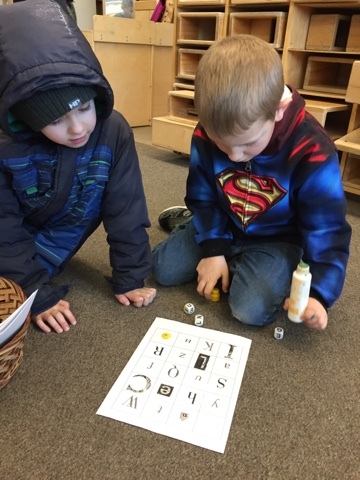 We placed letter dice, stampers, and letter cards out. 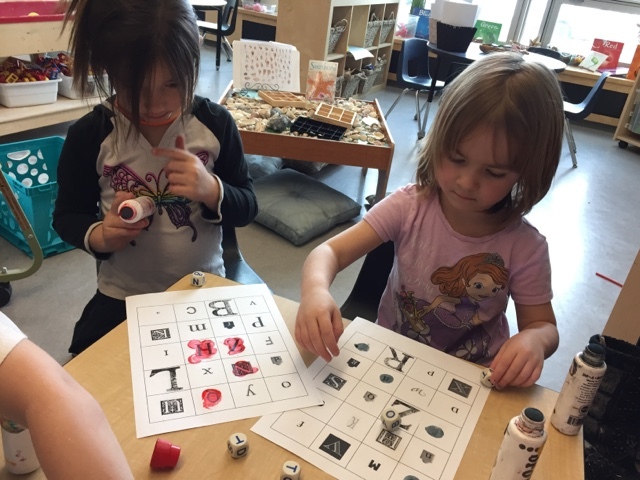 The children were encouraged to roll the dice, identify the letters, and stamp the corresponding letters on the paper. 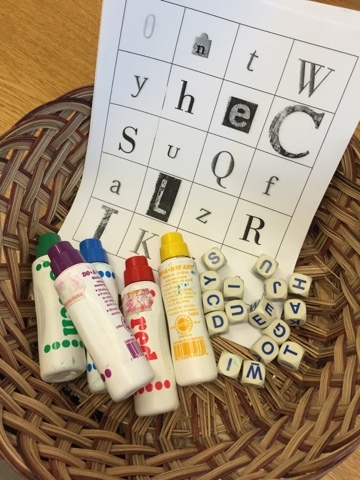 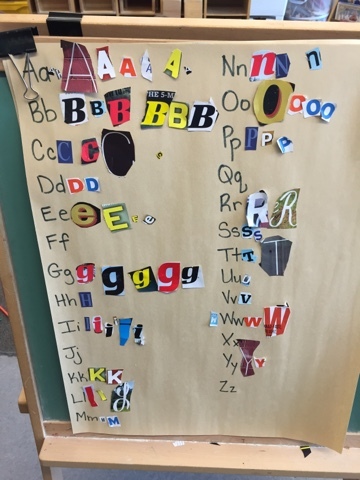 We also went on a scavenger hunt and cut and pasted matching letters from magazines in order to explore how letters can be written using different fonts.